Today is a day of big changes on Seekerville--the Journey Continues. Seekerville will now MOSTLY be Monday, Wednesday and Friday...Plus the Weekend Edition...though we've got guests who will fill in some of those Tuesdays and Thursday. Today is a Tuesday after all...so see? We've got flexibility here so keep stopping in to see what's new!!! Join us while we try and inspire you and each other to make our own changes in our writing...increase our skills. To take chances. To learn, risk and broaden our knowledge. And how can we not change as we learn more? But it's scary. In the spirit of courage about change, let me introduce to you the ladies who are joining us on this continued journey. 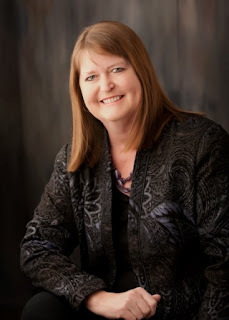 Melanie Dickerson is the New York Times bestselling author who combines her love for all things Medieval with her love of fairy tales, and combines her love for Jane Austen with romantic suspense. She is a Christy Award winner, a two-time Maggie Award winner, winner of The National Reader's Choice Award and the Carol Award in Young Adult fiction. 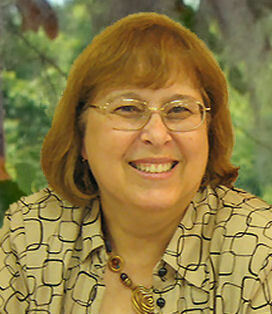 She earned her bachelor's degree in special education from The University of Alabama and has taught children with special needs in Georgia and Tennessee, and English to adults in Germany and Ukraine. Now she spends her time writing stories of love and adventure near Huntsville, Alabama. Visit her on the web at http://www.MelanieDickerson.com. 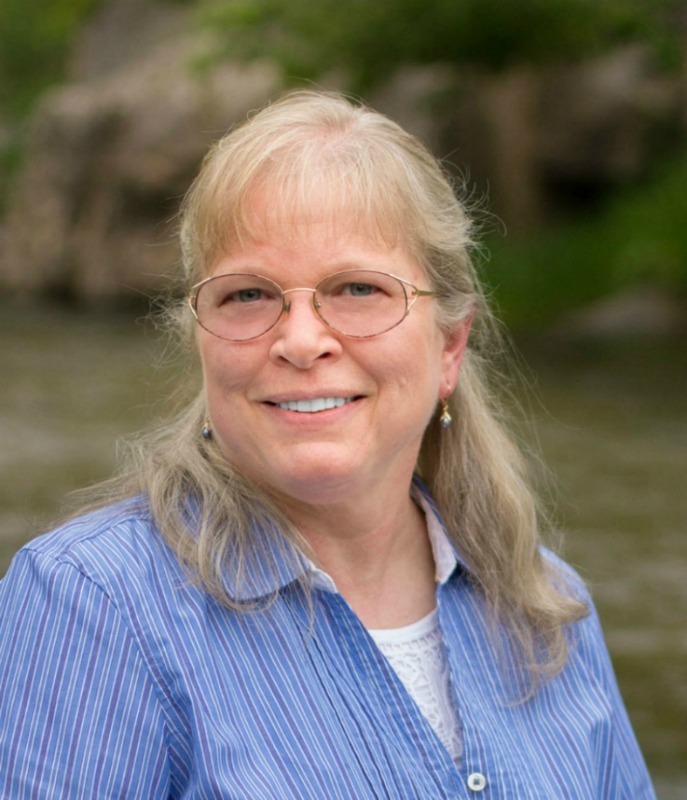 Jan Drexler is a long-time Seekervillager who credits the ladies of Seekerville for giving her the tools she needed to launch her writing career. In her former life she was a Homeschool Mom, but was forced into retirement when her youngest son graduated from high school. That’s when a computer and a deep well of family stories to draw from inspired her to delve into a long-held dream of writing historical fiction with Amish characters. When she isn’t writing she spends much of her time satisfying her cross-stitch addiction or hiking and enjoying the Black Hills of South Dakota with her husband of more than thirty-five years. Her writing partner is her Corgi, Thatcher, who makes life…interesting. Beth Erin is a Christian fiction enthusiast, book reviewer, and blogger. 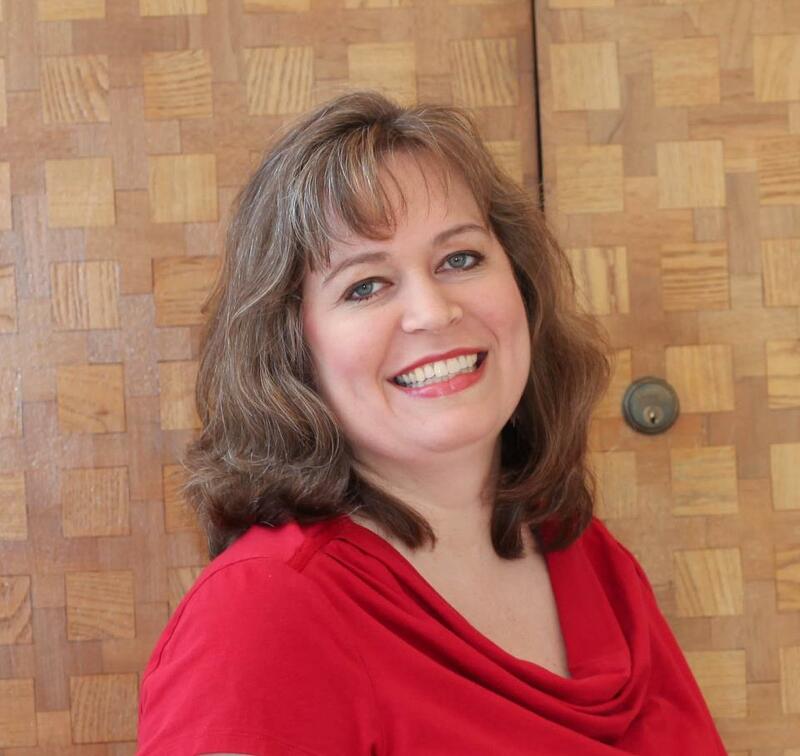 She is passionate about promoting authors and their entertaining, encouraging, and redemptive stories. 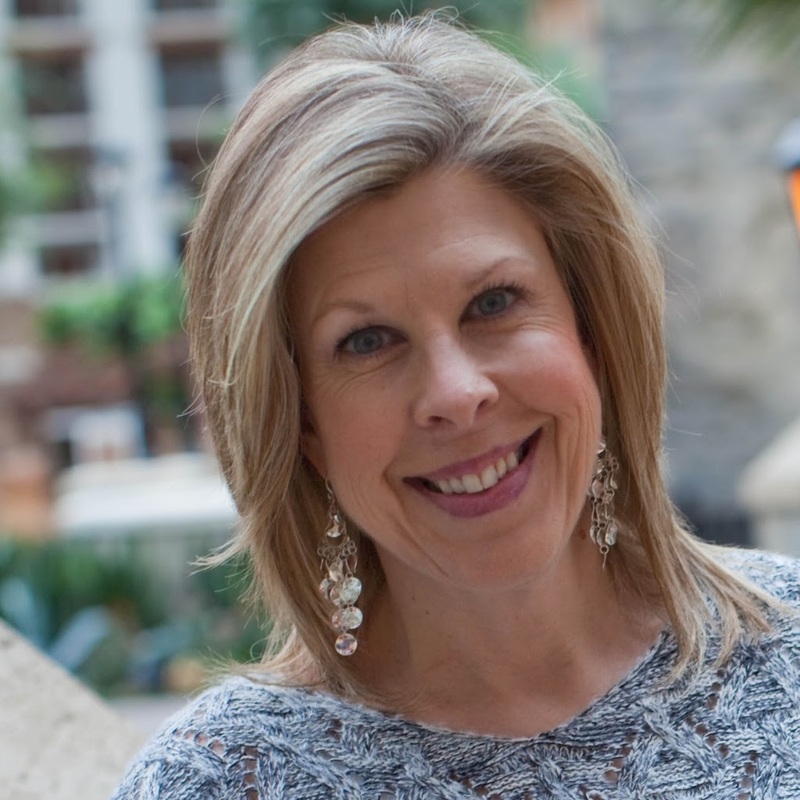 Beth strives to edify and connect with readers and authors at Faithfully Bookish and on social media. She also contributes to the Hoarding Books & Diversity Between the Pages blogs. Beth is a Christian Fiction Readers Retreat associate and reviewer for RT Book Review's inspy category. Beth lives with her husband and their four children in a close-knit rural southern Illinois farming community. They love their laid-back lifestyle and small country church family. When she isn’t reading, Beth enjoys indulging in a favorite show or movie with her family, completing DIY projects with her husband, and seeing the country on long family road trips. You can connect with her on Faithfully Bookish, Facebook, and other social media platforms @betherin02! 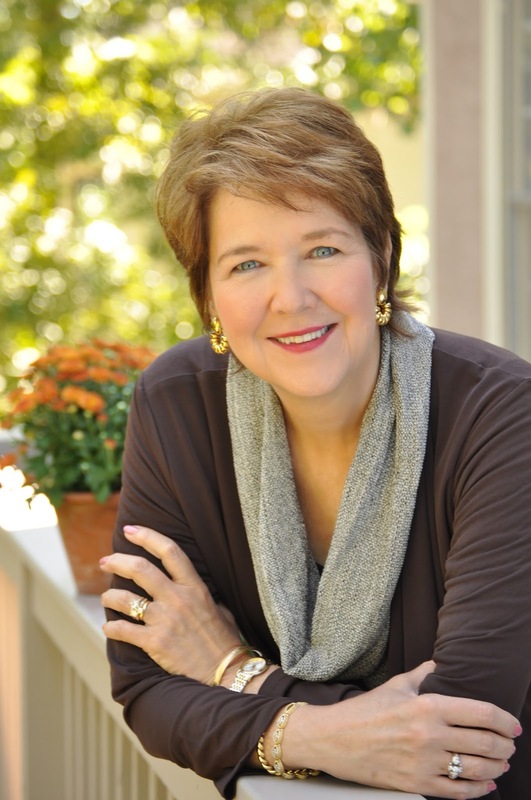 Winnie Griggs is the award-winning author of Historical and Contemporary romances that focus on Small Towns, Big Hearts, Amazing Grace. She has released over 25 titles since her debut in 2001 and her work has won a number of regional and national awards, including a Romantic Times Reviewers’ Choice Award. Winnie also pens a regular writing how-to column for a regional publication, The Minute Magazine. On a personal note, Winnie grew up in southeast Louisiana in an area her friends thought of as the back of beyond. She and her siblings spent many hours exploring the overgrown land around her home, cutting jungle trails, building forts and frontier camps, and looking for pirate ships on the nearby bayou. Once she ‘grew up’ she found other outlets for dealing with all those wonderful, adventurous, imaginary friends by filling notebooks with their stories. Eventually she found her own Prince Charming, a rancher whose white steed takes the form of a tractor and whose kingdom is situated in a small rural community she loves to call home. Together they built their own storybook happily-ever-after, one that includes four now-grown children who are happily pursing adventures of their own. You can connect with Winnie on facebook at www.facebook.com/WinnieGriggs.Author or email her at winnie@winniegriggs.com. 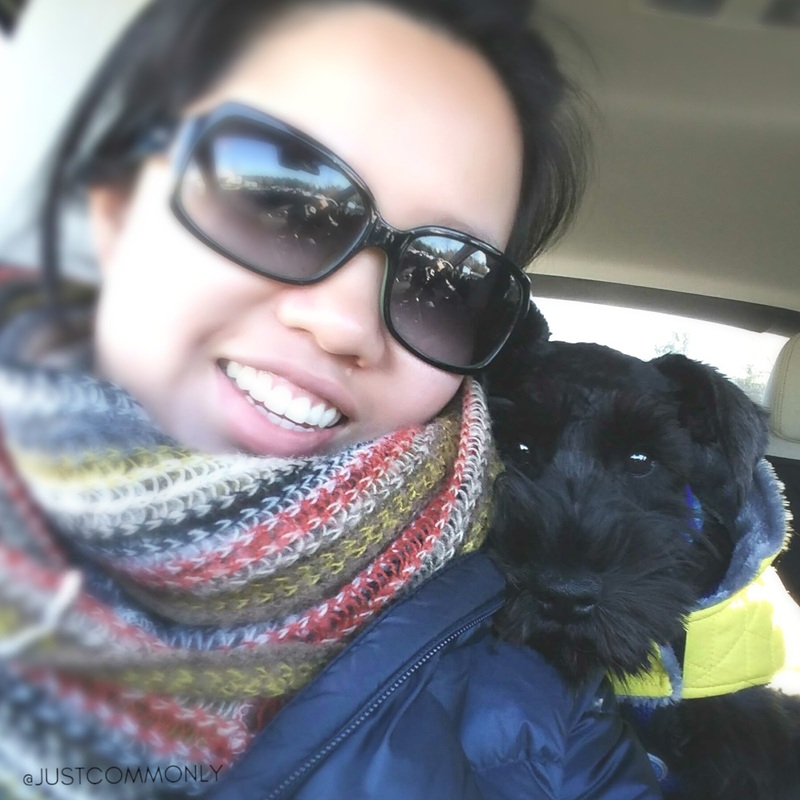 Just Commonly, AKA Annie is an avid reader turned blogger. 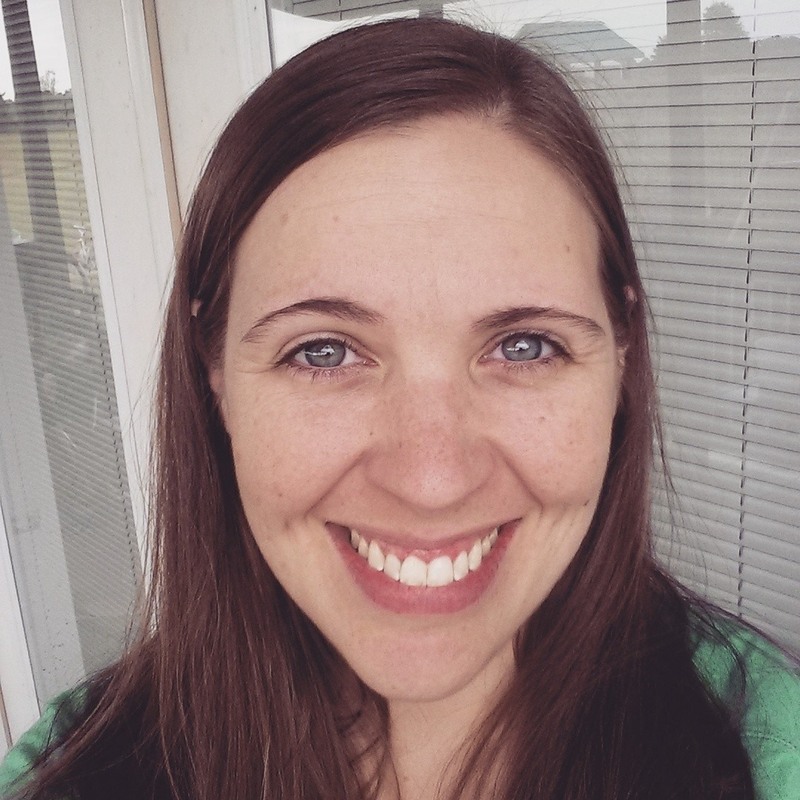 She is the mind behind Just Commonly blog, sharing what she loves most - Jesus & all things book and bookish . She’s a big fan of all Christian fiction, as well as books in the Young Adult, Middle Grade and even Kids Fiction genre. She’ll test out recipes from cookbooks and share thoughts from biographies to books on nutrition, spiritual help or just any book that struck her fancy. Next to reading, her other interests includes spending time with family and friends, eating, playing with her miniature schnauzer pups, Gabby and Reagan, and somehow challenge her non-existent athletic abilities to improve (tremendously) her tennis and golf game. Annie is proud to be one of the founding stewards of the Christian Fiction Readers Retreat (CFRR). CFRR is a one day event gathering of Christian Fiction readers and authors, with a focus theme of “Honoring God through Christian Fiction." It features speaker sessions, author panels, breakout sessions, prayer & worship and author signings. You can reach Annie on her blog, Just Commonly , Facebook , Twitter or Instagram. Three-time Carol Award nominee, Mindy Obenhaus, writes contemporary romance for Love Inspired Books. She’s passionate about touching readers with Biblical truths in an entertaining, and sometimes adventurous, manner. When she’s not writing, she enjoys cooking and spending time with her grandchildren at her Texas ranch. Carrie Schmidt is an avid reader, book reviewer, story addict, KissingBooks fan, book boyfriend collector, and cool aunt. She also loves Jesus and THE Story a whole lot. A reviewer for RT Book Reviews and a co-founder of the Christian Fiction Readers' Retreat, Carrie lives in Kentucky with her husband Eric and their quirky dog Zuzu. She can be found lurking at various blogs and websites (because she can't stop talking about books) but her main home is the blog she started in 2015 - ReadingIsMySuperPower.org. 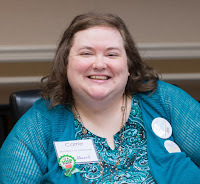 You can also connect with Carrie on Facebook @ meezcarriereads and everywhere else social at @meezcarrie. Best-selling, award-winning author Erica Vetsch loves Jesus, history, romance, and sports. She’s a transplanted Kansan now living in Minnesota, and she is married to her total opposite and soul mate! When she’s not writing fiction, she’s planning her next trip to a history museum and cheering on her Kansas Jayhawks and New Zealand All Blacks. You can connect with her at her website, www.ericavetsch.com where you can read about her books and sign up for her newsletter, and you can find her online at https://www.facebook.com/EricaVetschAuthor/ where she spends way too much time! Please welcome the ladies accompanying Seekerville on this continued journey and then let’s talk about CHANGE! Do you need to seek out change in your writing life? Or what have you changed that worked out right? Leave a comment to get your name in a drawing for a signed copy of my newest release, a novella collection with Karen Witemeyer, Melissa Jagears, Regina Jennings and ME!!! It’s called Hearts Entwined. The covers I've added are what's coming up for me. Hearts Entwined releasing now! Today! The Accidental Guardian releasing in April. 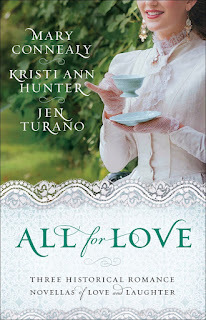 All for Love contains the novella prequel to my Cimarron Legacy Series. It's available now as an ebook, but it will be in print...in a book...for the first time in May. I've had so many people ask me if that novella would ever come out in a physical book and now the answer is YES. SOON! Four top historical romance novelists team up in this new collection to offer stories of love and romance with a twist of humor. In Karen Witemeyer's "The Love Knot," Claire Nevin gets the surprise of her life awaiting her sister's arrival by train. Mary Connealy's "The Tangled Ties That Bind" offers the story of two former best friends who are reunited while escaping a cranky mama buffalo. Regina Jennings offers "Bound and Determined," where a most unusual trip across barren Oklahoma plains is filled with adventure, romance, and . . . camels? And Melissa Jagears' "Tied and True" entertains with a tale of two hearts from different social classes who become entwined at a cotton thread factory. Each tale is a fun blend of history and romance that will delight readers. Yay!! Welcome new Seekers! I look forward to learning from your experience and wisdom :) And I'm loving the new look! 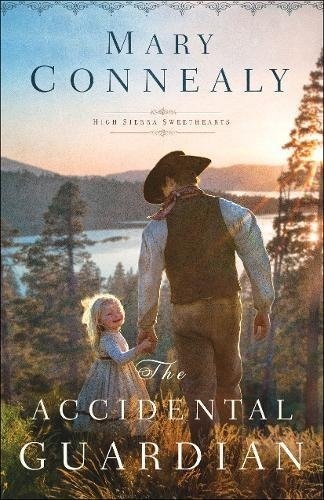 And I LOVE the cover of The Accidental Guardian! Nothing else will cause me to swoon like a strong man who is tender toward a child! Yes, we're excited to welcome the new bloggers! Pam created the wonderful blog header! I agree with you on that cover. I love it! Like Mary said, we're not just embracing change... we're downright seeking it. Thank you Megan. I am with you on those covers and about a strong man with a child! I just love stories like that! And the title? O, bound to have some funny moments. *waving to Meg* Thanks for the welcome! Hi Megan! Thanks so much! Thank you for the warm welcome, Megan. Isn't that a great cover, Megan!!! I'm so delighted with it. And yes the new blood around here is going to energize everyone!! We miss the retiring Seekers but I'm just thrilled we found such great talent to join us. I Love That Cover, Connealy. Like OH MY STARS it's amazing and I'd buy it in a heartbeat... but your name is on the cover so I'd buy it anyway!!!!! I went to preorder the book found out that I already had it on preorder. That's how much I want to read it! I've done that, Jan! And had books show up that I couldn't remember pre-ordering but must have because HERE IT IS!!! Mary, this is my all time favorite cover of yours! Love it and the title. Can't wait to read it! The cover! I forgot to mention the cover. Love it! Nothing like a hunky cowboy and a kid to make me swoon. Seekerville has been such a wonderful place for writers. I'm so excited to be part of it. Welcome aboard, Melanie!!!! My bragging point with Mel is that I saw her work in a contest A VERY LONG TIME AGO and it was so good... and I knew she was going to have a long and illustrious career, and she was this sweet, shy, aspiring author and I was aspiring, too, but not sweet and shy... but I knew... and I told her something to that effect. Like "Good job. You'll go far." Or maybe better worded. SO GLAD TO HAVE YOU HERE!!!!!! Definitely. Well said. Change can be scary, but it can also lead to a marvelous thing. This is a new adventure for me to, and I'm glad I have all of you with me. Melanie, I have always enjoyed your guest posts. You will do a great job. I'm making CHANGE my One Word for this year. I'm trying to be brave! Thanks, Mary, for the welcome!!! You strike me as someone who has no problem with change. You roll with it with farm-wife stoicism. Am I right? Melanie, Mary does seem to do that well! Me, on the other hand, I'm a little slower to move along when changes come. Probably because I can be sentimental. Have you seen her Facebook posts when a mouse is involved? OR THE FAMOUS OPOSSUM INCIDENT OF 2017????? Or when her Cowboy tries to put a calf in the basement? If by 'stoicism' you mean I spend a lot of time doing eye-rolls and sighing as life rolls on regardless of my wishes, then okay, you can call me that. Here's a warm welcome to Melanie, Jan, Beth, Winnie, Annie, Mindy, Carrie and Erica! Some faces I already know :-) I hope you all feel right at home here! Mary, thanks for the post today, I can't wait to devour Accidental Guardian when it releases. I have it on order from my digital library through the Overdrive ebook system! Thank you also for the chance to win Hearts Entwined, I am loving that cover and all the wonderful authors who have contributed to the collection. Missy is up at 2:00 AM..... poor, sweet thing!!!!! Trizi, I agree. I have seen a LOT of changes this year...family members spreading their wings, my secular profession of newspapers dying, my own physical and mental changes as I age. Older relatives dying, younger ones branching out. God is the only constant, but He is the only one we need. Kathy B, amen to that. God is the only One we need. Thanks for the welcome, Trixi! And I agree with you about change. Usually, it's only when I get to the end that I remember that I rest in God's hands. He plans the change and carries me through safely. Trixi, I don't think I'm a particularly courageous person. Note that I havn't changed my sox in like six weeks! But I am STUBBORN. Probably the opposite of CHANGE. But it makes me persevere....like trying to get published for ten years! Of course to do that, with writing, and learning, I had to keeping changing. Hi, Trixi! I'm thrilled to be here. And the next time you're forced to make a change, flip it around and think of it as an opportunity to trust. Sometimes it's all about the perspective. Welcome to the new ladies! So happy to see you all here in Seekerville! Patti Jo, I'm with you on the empty nest. It's tough. My son left today after being home for over a week. It was tough to let him go! But he's happy in Tennessee! And he enjoys his job. This year is the first year we stayed home and not travel to see family for the holidays. I missed them terribly, but it was a well needed break physically and mentally for us. Here's a point for technology - we FaceTimed with them during the gifts and the dinner gathering time for a bit. Not truly the same, but it was something. Hi, Patti Jo! Thanks for the welcome! It was too late to do it. my Cowboy on the other had about curled up in a ball--in a completely macho was of course!!! Patti Jo, No way am I missing your peach cobbler! And the chance to tell you that I can see from your Facebook posts what a wonderful job you've done as a mother. Rest in that and know they'll always be there for you and always need you no matter where they live and what they're doing. Patti Jo, I'm sittin' at the table, waiting for a big helping of that peach cobbler. YUM! Hugs, my friend. Can't wait to see you again. Welcome ladies! While I'll miss the retirees, I'll look forward to hearing from all of you. Change can be a two-sided creature...scary but exciting at the same time. At this time, I'm recovering from ovarian cancer,surgery, and treatment. I've had plenty of time to lean into Him and reflect on where he is leading me and what I'm supposed to be learning from this experience. It isn't completely clear yet but you can bet there will be change. I'm thankful I have the opportunity to follow through and make those changes :) Thank you for all the wisdom, advice, and love that is shown from this community. Happy New Year Seekerville!!!! Pat, blessings on you as you recover! I'll pray for total healing. Pat, how did I not know this???? I am adding you to my prayer list, sweet lady... and praying for a full-out cure as well. It's time. It's past time. I'd love to see cancer become one of those ho-hum diseases... Praying for you and so very glad to see you!!!! Happy New Year (and prayers!) to you! Praying for you Pat. Praying for a total recovery and total healing. God is so good and He is the Divine Healer. Pat W, the retirees promise to stop in. They aren't all going for the same reason. Some are retiring from being authors, but some are just easing a load off their shoulders to give themselves more time to write. Others think they've given all the tips of writing they have....I'm sure I have too, but THAT'S NEVER STOPPED ME!!! Pat W, I'm adding my prayers for you too, precious lady. May the Lord heal and strengthen you in the coming days. Pat W, I'm praying for you. Please keep us informed on how you're doing. Thank you for the welcome, Pat W. And I will keep you in my prayers as well. I forgot to mention the new look... LOVE IT!!!! Thank you! Pam Hillman was the designer and the rest of us are operating controls in the back closet... a perfect place for the graphically challenged!!!! Isn't that a beautiful picture, Pat. Yes, Pam found that picture, figured out what to say, the font, all those things. She's an artist along with being an author. We all knew what the OS (Original Seekers) were seeking…publication. It would be a great introduction if we knew what the new Seekers (sounds like an inspirational singing group) are now seeking. A big part of the enjoyment with the OS was rooting for them to succeed in real time. It would be fun if that was still possible. Vince, one of the main reasons we wanted to carry on after our beloved Seeker sisters decided it was time to retire from the blog, was to help others who are working toward publication. So that's what we're seeking! To continue to feel needed, to feel like we're making a difference. To teach and learn right along with the villagers. I know, personally, I'm seeking inspiration and encouragement from all of you. The new regular bloggers will be bringing wisdom and experience from different genres and backgrounds. And we'll also learn from and be inspired by the three ladies who are bloggers/readers who love Christian fiction! It should be a fun mix. You know Vince, we were seeking publication for ourselves when we started the Seekers original group... but the blog was because several gals had just gotten "the call" (not published yet, but we knew what was on the horizon) and we wanted to give back to others... so the blog was meant to help in an industry where aspiring authors got their hands slapped fairly often... and we wanted to change that! So we did. AND WE ARE SO STINKIN' EXCITED!!!!! Carrie, I was wondering who the mavericks were, too. Maybe it's both you and Bethy! Carrie, if Beth Erin is the maverick, then she's got company...I think I'm kind of a maverick. I guess Beth Erin is on her own. I'm not a writer but I have certainly known quite a few changes over time. Mary P, I think we do all experience that--in jobs and churches and families. In moves, homes, neighbors. Goodness, so many areas. Right? Change isn't just part of life, it is life... and I think the better we get at accepting it, the stronger we become. I remember struggling with an unwelcome change in my life one time and someone said, "If you don't change, you die." She was right. If change doesn't come into your life, the only alternative is stagnation and death (spiritual and/or physical). So we need to embrace change! It might be uncomfortable, but it soon becomes the new normal! I'm looking forward to getting to know you, Mary! Jan I remember writing in some long, lost long-ago book some female character saying, "I have to keep moving. They say if sharks quit swimming they die." The hero said, "You're not a shark." I think it was in one of those Seeker Novella collections. Not a lot of SHARK references in historical westerns. Hi, Mary P. It sounds like you've got a handle when it comes to change. Or at least facing it. That's all any of us can do. Welcome to the new Seekers. A couple of you are familiar faces. And of course I know Erica by her beautiful red nails. And we just won't talk about me and change. I do agree with Vince, I'd love to hear from all the newbies. Oh, Terri, I hear you! You and I have talked about change in the past! During the Rockin' NYE party, I mentioned watching a principal change several teacher positions one year... WHAT A SHAKE UP! Nuclear war pales by comparison!!!! But a year later it was clear that her move was genius... Same-old, same-old no longer existed. The teachers were forced out of comfort and had to develop new plans, lessons, and regenerate excitement and it worked! I decided right then and there to grab her example and apply it to my life. No fear.... maybe a heart palpitation or two, but once you do it often enough, it feels more like you're in control. And I hope you love our sweet newbies!!!! Thanks for the welcome, Terri! Good morning, y'all! I'm actually just about to turn out the lights and get some sleep now that I finished reading the book that I just couldn't put down. I love Seekerville (and the NEW look! WOW!) I'm honored to have the opportunity to participate in the wonderful community and encouragement that is shared here! I look forward to getting to know y'all better in the year to come! I'm okay with change as long as it isn't sudden! I enjoy having time to plan and adjust to (and often over think) new situations. That's why I had to stop reading at bedtime. I'd get to the end of a chapter with every intention of putting the book down, and find myself turning the page with the thought of "just one more chapter..."
I need my sleep! So I now I read on my lunch hour. Beth Erin, HI!!! Another night owl! Another woman who can't put a book down........KINDRED SPIRITS!!! Love the new look. Welcome all new members. Erica not so sure about you supporting the All Blacks. (or is that the Aussie competitor in me. I don't understand Rugby). Speaking of teams... How about our Atlanta Falcons win on Sunday night?! We were there and really enjoyed it! my brother was there too, Missy! Heard it was a great game! And BUFFALO BILLS are in the playoffs??? First time in 18 years????? Oh mylanta, we could not believe that they won... and then when Baltimore lost to Cincinnati in the closing seconds of the game??? There were over 400 people outside the Buffalo Airport cheering for the guys in sub-zero weather with CRAZY SUB windchills when they got back to WNY in the middle of the night!!!! Jenny, I don't understand rugby either. And I don't have much opportunity to watch it. But when I do, I enjoy it. It makes our American Football look like a gentle ballet! I'm a big San Diego Chargers fan for the most obvious reason. Phillip Rivers, their quarterback, has eight kids and is married to his high school sweetheart. Oh, eight children with the SAME WOMAN!!! Oops Los Amgeles Chargers. I can never remember that. Good grief, Jill! 12 degrees this morning? What is your elevation there? Jill, I'm with you! Give me summer. I won't complain about the heat. I just don't want the cold! Would y'all believe it's 13 degrees here in the Atlanta area??!! Our heater is running like crazy. They're calling this the coldest stretch of weather in over a century today... and ours is expected to go back below zero in two days so those Arctic Clippers have regained their strength... THE BRATS!!!!! Hi, Jill! And thanks for the welcome! And easterners, there is hope! Our low temperatures are easing today, and are supposed to stay warm for the next week. Highs in the 30's!!! And sunny!!! I don't know why they ever HAVE a weather forecast this time of year. I have a niece who's a TV weather girl...wait that's rude now right? I weather person. A...a Meteorologist!!! Why does she even bother to talk. She should just say, "It's Nebraska in January...duh...now we go on to sports." Ladies, welcome to Seekerville. I'm so excited for you and look forward to getting to know you better and continue learning. Thanks for joining Seekerville! I BROUGHT COFFEE AND SPARKLERS AND DOUGHNUTS. #MUSTHAVEDOUGHNUTS!!!! Ruthy, we've had plenty of fireworks around here for NYE (the noise went on until about 2 am). And then more fireworks last night as the Georgia Bulldogs won!! Hi Jackie! Thanks for the welcome!!! Don't get glaze on the fireworks. You don't want sticky fingers in case you need to drop them and run! Welcome everyone to the journey that is continuing. It's a new year with a new start. May we all write something that will touch someone's heart this year. Blessings to all of you for continuing this great resource. Please throw my name in the hat for the novella collection. It sounds like a great book. Happy New Year! Bettie, amen to that!! I pray our writing will bless others. Bettie, I will share this prayer, too... and thank you for your blessings. The women in that picture were crazy invested in seeing Seekerville continue... and it took some hoop jumping! But we're here and it's because we love helping others and bringing people great inspirational fiction. I'm singin' an Hallelujah chorus on that! You said, "May we all write something that will touch someone's heart this year." Amen! Hi Bettie, that's really wise. Thank you for that reminder of what we're doing here. We're trying to touch hearts, make life more fun, maybe change a few lives. I love that. "May we all write something that will touch somebody's heart this year." A warm welcome to the new Seekerville bloggers! We're looking forward to getting to know you and to learn from what you have to share with us! Good morning, Glynna! Thanks for the welcome! I am soooo excited to be a part of this wonderful blog and look forward to learning from the others. I've always thought Seekerville isn't just a place about writing,but about seeking to live life according to His plans for us, and about going after those dreams that He gives us. New year, new adventures and thanks for including me in the fun! And I just love this new look too! The header is gorgeous and so is MARY'S new book cover! All of them. I can't wait to get my hands and eyes on each of them. I'm one of those that always have wished for a printed copy if the novellas. So glad Bethany House is putting that together! Great covers too! "Seek and ye shall find..."
"Seek ye first the kingdom of God..."
So glad to see you!!! Annie, we're so glad you joined us! Annie, isn't this just the best way to start a new year ever??? Great, great, great additions to the blog. Change is good. We have to embrace it. Why? Because there is no way to stop it. Looking forward to 2018 and the 'remodel' of Seekerville. I love you THIS MUCH. I always look at Mary when I ponder these things because that amazing woman withstood far more than anyone should have to. You're right about not stopping change! So why fight it? Trying to stop change would be like...installing a screen door on a submarine! Rose, you speak the simple truth. You can't change it so you might as well get on board and enjoy the ride. When Ruthy says, "Mary withstood far more than she should have to..." I think she's remembering all the SASS I've gotten from her over the years. And when I think of Ruthy, and Niagara Falls at the same time....the similarities are undeniable. Hi Mary, good choices on the new Seekers. I applaud your decision to do Mondays, Wednesdays, Fridays and the WE, you need time for your own writing so you won't get burned out, and four days of Seekerville is better than none. I am serious about what this blog means to me. It really is a journey, isn't it? And if we're smart, we never end up where we started. We sure do need to be flexible. I was going to start my new stringent writing schedule this week, but our septic system failed and now I have to do a bunch of things my husband normally does so he can deal with the septic issues. BUT schedules were made to be tweaked, and I expect to be back on track by next week. I appreciate everything the Seekers do for us. Kathy, I'm sorry about the septic problems!! I know all about having things blow up and prevent me from writing. But having your schedule will help you get back on target once everything is repaired! Oh, Kaybee, septic problems are such a time drain, and a money drain. We country gals understand both! And your views on flexible are spot on. A little give and take and some elbow grease and we can get the job done! Kaybee, you said, "I am serious about what this blog means to me." I'm happy to see all the new, but familiar faces here at Seekerville! One can never have too many book buddies! and writers Erica, Winnie, Mindy, Jan and Melanie! What a lovely new look to go with a lovely new mix of book people! And Mary! That cover for The Accidental Guardian already landed it on my 2018 wish list, like months ago in August when I first saw it! 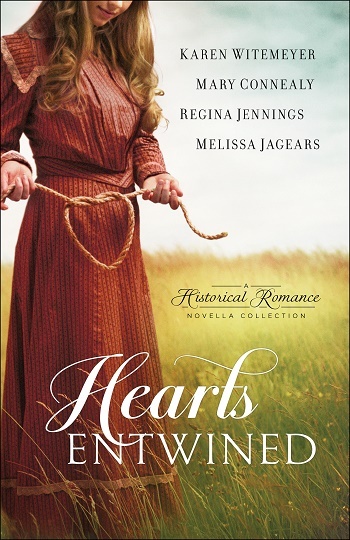 I love the new collection Hearts Entwined too, a great group of historical authors all together in one volume, can't go wrong there! Thanks for the giveaway. Tracey, thank you for your support! Oh, Ruthy, I had already met all of you in person. Eaten with you all. Shared bathrooms with...wait. Is that TMI??? And Tracey, you are so right! One can never have too many book buddies! Thank you for the kind words about that new cover. Isn't that just so perfect!? I'm so excited about it!!! Good Morning Seekerville! Welcome to all the new Seekers too! The blog design is beautiful. I could say I would miss seeing the old blog header but I see it every morning on my coffee cup and on my post it notes. Change can be good and bad for some. I think it depends on how it is presented. Right now we are going through change at work and it was presented very poorly. The "favorite" was given the chance to 'choose' her new tasks and the rest of us were told later we can pick extra things to do. It is hard to work in an environment with a boss who plays favorites, but it has now been brought to her attention so hopefully things will change for the better. My whole world changed in 2017 with the passing of my Mom. She was also my best friend so my life shook up, but we now live a new normal and I find myself remembering all the wonderful things my Mom did, her Momisms (things she would say) and so much more without breaking down and crying every time. Don't get me wrong I still have 'moments' and they come when least expected. But time heals and I know one day I will see her again in Heaven. I will miss all the departing Seekers but look forward to the getting to know the new Seekers. May the old and the new be blessed throughout 2018. Cindy, bless you for your wise words. I'm thankful you're healing and finding your new normal. My goodness, it's COLD there!!! We'll have to see if Janet checks in today. She's up your way and may be below 0 as well. Ditto what Missy said... And Cindy, your faith and devotion to your mom and love for her showed in everything you did... and do. What a perfect tribute!!!! Cindy, you're in NE Indiana? My "home territory" is Elkhart County, near Goshen. That's why many of my books take place in the Elkhart and Lagrange County areas! Condolences on the loss of your mom, too. And you're right. Time has a way of making painful memories into bittersweet ones...and then eventually those memories bring joy rather than sadness. But God helps us get through the sad times, doesn't He? Cindy after my dad died--following a ten year battle with cancer--it took me about a year to start remembering him as young and healthy. That's when it got easier. My main thing now it is sort of sweeps over me when I see something and wonder what my dad would say about it. He was funny and loved to talk and laugh...great to just sit with. Welcome to the new Seekers! I'm excited for the changes and can't wait to learn from all of you. Seekerville has become my morning stop for encouragement and fun, as well as writing information. It's a wonderful place and I'm sure these changes will be great for all of us! Happy New Year!! Glynis, I love your name... there was a Glynis on "Call the Midwife" and one on "Fireman Sam".... that one was a little weird, (you are not weird, Mary made me say that!!!) but it's such a great Brit-type name... Now I have to use it in a book, Glynis!!! Thanks for the welcome, Glynis! Glynis, and the original seekers are still out there, perhaps circling....they retired from the blog but there is NO RETIREMENT FROM FRIENDSHIP!!! A hearty welcome to you all! Looking forward to reading your posts. Courage to change is my theme for 2018 and I'm eager to see how it goes. Sandy, I love your theme for 2018! Sandra, you've come to the right place, darling... that's how we dove into this, with the courage to change and your theme matches ours... and we grabbed that beautiful verse from Philippians 4:8 "Finally, brothers and sisters, whatever is true, whatever is noble, whatever is right, whatever is pure, whatever is lovely, whatever is admirable — if anything is excellent or praiseworthy —think about such things." The Pollyanna in me loves this! We can focus on the positives... heaven knows the negatives will still come knocking! Thanks for the welcome, Sandra! I love that theme: Courage to change! Bravely facing the unknown in the twelve months ahead! And we can be brave because we know whose hand is holding the tiller! Change is my word for 2018. On the other hand, I've been revising these suspense books to release and I can't quite get up the gumption to do it. so maybe I just like THINKING about change??? Welcome new Seekers! What a wonderful group! A couple of names are new to me so I look forward to getting to know you through this site. I’m not a writer, although it is a dream of mine, but I have had change thrust upon me in other areas of life. Let’s just say I’m not thrilled when it happens, but I try to make the best of it. And wouldn’t you know it, things usually work out for the better! Julie, I've had that exact same thing happen. What seemed so terrible at the time worked out for good. Julia, congratulations on winning a book pack over the weekend and thanks so much for hanging out at the party!!!!! Hi, Julia! Thanks for the welcome! If your dream is to be a writer, you're hanging out in the right place! I sat next to Julia at CFRR in Nashville. I love seeing your name here and on Facebook and thinking what a fun time it was sitting next to you. Welome new Seekers ladies. Looking forward to more writing wisdom and fun with you in 2018. Lisa, thanks for the well wishes! Hi Lisa! I'm looking forward to 2018, too! Ready to soak up every blog post! Terrific kick off post, Mary! 2018 is the year of changes! Agreed on the more writing time!!!! When asked to join the ranks of the Seekers, I was honored. And hesitant. Did God want me here? After prayerful consideration, I knew He did. Seekerville and the ladies thereof played a huge role in my writing journey. Not only have they encouraged me throughout my career, they covered my family in prayer when my husband broke his back and, subsequently, battled back from kidney surgery and numerous complications. These women have hearts as big as Texas. As for change, I think that was my word for 2017. Lots of changes for the Obis last year, but they were accompanied by more blessings than I can count. Change is an opportunity to trust that God has a plan. And no matter how bumpy the road may be, He will be with us every step of the way. I love the new look and pray I will be able to encourage others the way Seekerville has encouraged me. Mindy, what sweet words. Yes, I agree that change is an opportunity to trust God! You got me ver klempt. Welcome aboard, Mindy! And those changes, those good, those bad, those just plain different things... gosh they work on us, body and soul, don't they? Becky, we're so glad you stopped by! Good morning! I just pulled some made from scratch biscuits from the oven and wanted to drop by while the natives are distracted. Thank y'all so much for the warm welcome! Besides our frequent visits in the comments, some of you may (or may not) remember when Annie (Just Commonly), Carrie, and I collaborated with our fellow book blogger friend, Rachel of Bookworm Mama,to share tips on book blogging What Makes a Blog Successful? Mary, I can't wait to read your new releases, especially The Accidental Guardian! It was so much fun hosting you guys that day!!!!! We never know when our normal day becomes our audition! Hi Erin! So thrilled for you!! Good morning. Good morning. Good morning. And who couldn't love the covers??? I love those covers, too.... and I'm toasting with diet Mt. Dew!!!! WE CAN BE FRIENDS!!!!!! I think change scares most of us, but then we do it and we realize "Oh, gosh... not so bad... and maybe better, even..." and then we wonder why do we get scared???? And aren't those covers beautiful???? Welcome to all the new Seekers. I have even met Jan and Erica, so that is exciting to already know them a little. Change is hard for me at times, but nothing can be accomplished without change, so I will roll with it. Please enter me in the drawing. Sandy! So good to see you this morning!!! It was so much fun meeting you (and your family!). Be sure to let me know if you're ever up this way again! Thank you Seekers - those I already love and those I will soon love along with them - thank you for your dedication to this encouraging, uplifting, informational thing known as Seekerville that so many of us depend upon for so much! Wishing us all, Seekers and Villagers alike a most blessed 2018. May we all sail from that island with linked arms and lots of help with pulling those oars! I agree, Cindy! Where would Seekerville be if the current Seekers hadn't banded together and vowed to keep the blog going when so many retired at once? I'm sure that change brought a few anxious glances among them! They courageously embraced the change and looked forward to 2018 without fear. So yes, thank you, Seekers! Change . . . my teen boys have a song about Change, but I probably shouldn't repeat it here. ;) I am getting better about accepting change, but I've never done this easily. I'm looking forward to seeing the changes that will come here at Seekerville, and I'm looking forward to getting to know the new Seekers better (I'm happy to say I've met a few of you in person . . . and even shared a room with one long, long ago, at ACFW ;)). Oh, Jeanne! That was such a long time ago! I was a nervous-Nellie-newbie, that's for sure! Hi all! I'm still trying to figure out how I ended up with this fantastic group of encouragers and writers. So much talent in this mix! And then me. LOL. But to say I'm also incredibly honored and humbled to have been invited into the ranks is the understatement of the century. Thank you, villagers and Seekers, for the warm welcome! Carrie, I was so happy to see your lovely face on the Seekerville graphic! Can't wait to read your posts! Good morning, Seekerville! I love the new look. Will the background change with the seasons? That would be fun since we all go through different seasons in our lives whether writers or readers. I'm working on embracing change rather than resisting it in 2018. So I'm hopping on the Seekerville wagon train wherever it leads. As our American pioneers would say, Westward Ho! Welcome to the new Seekers! Looking forward to sharing 2018 with you! I am an avid reader and LOVE Seekerville....great authors here and commenters who feel like a family. Fantastic! Today I am so blessed by some comments by Missy and Ruthy! Praying for Cindy W. surgery! Please enter me for Mary's book....love her books! Hi, Jackie! Thanks for the welcome! Welcome to all the new Seekers! It's nice to see familiar faces. I look forward to learning from you all as I continue to strive to sail off Unpubbed Island. Hi Rhonda! It's good to see you here, too! wow! Lots of new faces! Welcome!! I’m looking forward to the new year and set up, especially all the learning from you all! I'm looking forward to the new year too, Sherrinda! I'll admit to nearly having heart failure when I saw the change in scenery at Seekerville. I wasn't expecting that! lol When y'all say change you mean change! I do believe this is the first time I've used my fainting couch for anything but swooning over a hero. :-) But I'm an Autumn girl and that nice even path through the woods is something I could actually walk along so maybe that's a propheticly good thing, right? And woohooo to all the new Seekers!!!! Love the mix of writers and readers/bloggers. Anxious to see how this new year unfolds for everyone! OH MY GOSH!!! !I had one of my typical 'Mary' insomniac nights and slept too late this morning and now there are ONE HUNDRED AND THIRTY COMMENTS!!! I messed that up royally huh? I'm so sorry to be late!!! Just like Gibbs, you sleep when you can. So sorry you had a bad night! Love the new look (kudos Pam!). I like the idea of Continuing the Journey. Welcome to all the "new" Seekers too. I'm very excited to see what they will share with Seekerville as we move forward. I'm usually not very keen on change, but this change feels pretty comfortable. The only change that would've been terrible would've been if Seekerville stopped completely. Then I would've panicked. This community is so special, it needs to stick around. I hope the new schedule makes things easier for all the Seekers - because we all love your books. I'm so excited for the fresh look and new mix of Seekers. Yay. I would love to start off the new year with a Mary Connealy book. I am so looking forward to reading the next books coming up too. I agree, Deb. With all the changes, it's good to see Seekerville continuing! Deb, from your lips to God's ears... we felt exactly the same way and here we are... New. Different in some ways... but the same goals and dreams. Thank you for your kind words, my friend!!!! Welcome to the new faces! I know most of them from following online. I hope they love their new home here and fit right in. As stated on New Years eve post I will promise to try to comment more and not lurk so much. ;) Wonderful post! Good Morning to the new Seekerville! The changes are awesome, and I look forward to learning so much more in the new year. I will dearly miss the ladies who have sailed off the island, but will embrace the new with open arms. Pam, the new graphics are stunning! Mary C, your cover is so heartwarming, and I'm sure the story inside is too. Thanks for the giveaway. Please add my name to the list. Welcome, ladies! I look forward to seeing the direction this blog is going. Yeah, coming from someone whose mother and sister utterly abhors change of all kinds, I always thought myself more adaptable, but even I am willing to admit that there are going to be some big and hard changes in store for me in 2018. For one, I'll become an adult soon. I mean we're talking not even two months, people. NOT EVEN TWO MONTHS! And then I'll be a legal adult. Secondly, I'll be graduating this year. Except it will be so unfamiliar to finally be rid of that which has plagued me the majority of my life. 14 years (counting preschool and kindergarten). I don't even really remember what it was like before I STARTED school, let alone have any idea of what I'm going to do when I finish it. I DON'T KNOW WHAT I PLAN ON DOING IN THE FALL! So I figure I'm just going to wing it. Love the new look and the new faces! So excited to see what Seekerville has to offer for 2018! Good morning, Seekerville! I'm soooo excited about the newest Seeker additions! Thank you for all you do in providing fabulous posts for us villagers! Welcome to all the wonderful ladies--authors and bloggers--joining Seekerville and continuing the journey! I'm especially excited that I know most of you really well and know you'll bless this active, loving community of readers and writers with your tips and perspectives! It's frigid here in Northern Indiana, as Cindy W as already mentioned. But the sun is shining! It's a new year filled with promise. May God bless us all in 2018. "You can get everything in life you want if you will just help enough other people get what they want." Zig Ziglar... sums up the way I feel about Seekerville! So happy to meet the new authors and bloggers at Seekerville. I'm looking forward to learning from each one of you! Change: For me, it depends on how it happens in my life. Prayerfully considering and making a change is one thing, having it thrust upon me in an unexpected moment is more challenging. The one constant in either situation is clinging to our Lord. Blessings to all in this New Year!